I bought this belt for two purposes, to keep my money safe and to use as a normal belt. In places like Barcelona, pickpockets are extremely common which is why a belt like this is necessary. If you don’t like the nylon look there are also leather belts that have a secret money pocket made by Travelon. Overall I would recommend this belt. 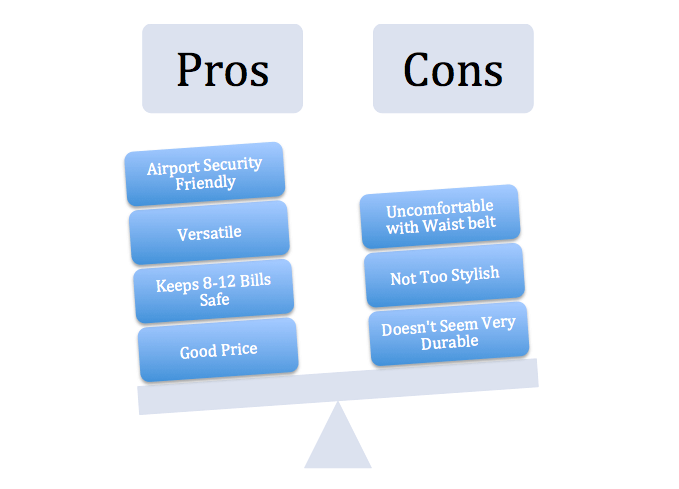 Here are some pros and cons that I came up with for this belt. You can find the leather one on Amazon.com here. You can find the nylon one on Amazon.com here. This was my Travelon Money Belt Review. What are your thoughts? Leave a comment below.